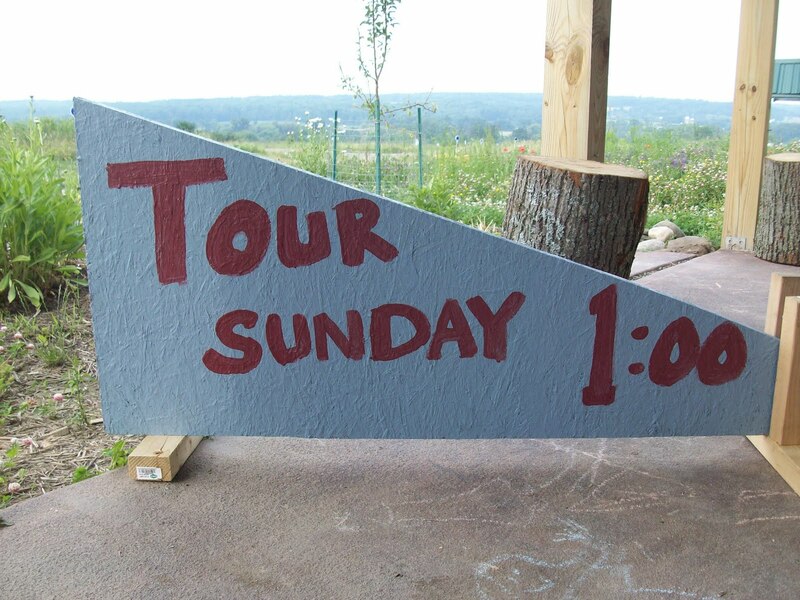 Well, the summer tour season is over for White Hawk, but visitors are still welcome and we encourage to to visit! We held four open house events this summer, and had a lot of fun meeting new people. We had visitors from far and near, as well as curious neighbors that we were happy to show around. We had fun with snacks, live music, and we even premiered our walking trail. If you missed out, please contact us at info@whitehawk.org to arrange a private tour.